Making You Feel At Home For More Than 40 years! Upgrading your rental home by getting some repair and maintenance done is a sure shot way to increase the rental property’s value. Such upgrades pay off later in the form of higher rental rates. Here are some inexpensive upgrades that will yield maximum benefits. Hiring the services of a landscaper for improving the outer appearance of the rental property can do wonders. Some pruning and decorative touches like hanging baskets, mowing the lawn etc. will do the trick. The front door is the first thing to catch the attention of a prospective tenant. Repaint an old door or replace it with a new one. An impressive front door makes the property look like it has been cared for. This is a low cost option of instantly revving up any property. A fresh coat of paint brightens up a house making it look appealing and welcoming. Use neutral paint so that the tenants can later add colors as per their taste. It’s good to regularly maintain appliances to keep them in good condition. However, after old tenants leave and before new ones step in, check whether any appliances need to be repaired or replaced. Appliances in working order always give a good impression and increase worth of the property. Replace old, worn out and outdated window treatments with new ones. It instantly lends a new and fresh look to the property, thus adding value to it. Upgrade the lighting of the house to make it look brighter and more inviting. Use soft lights in bedrooms and bright ones in the kitchen. Also clean the lighting fixtures and update broken ones. The payback on investing in new flooring is huge. You can start with single prominent rooms like the kitchen or bathroom if you are on a limited budget. Also, you can restore old floors to give them a new and clean look. Try repainting kitchen cabinet doors or replacing them for a new look. You can also remove the doors to convert them into open shelves. Revamp your bathroom with water efficient toilets and showers, change the tiles, repaint the walls, etc. An attractive, clean and modern bathroom adds value to the whole house. If your home has a basement, make the necessary upgradations to keep it dry and free of damp smells. You can hire an expert to add a drywall, insulation or laminate flooring to prevent leaks and excessive moisture. Work on improving the lighting and furnishings. For more information, contact Lone Star Realty & Property Management, Inc. We are located at 1020 West Jasper Drive, Killeen, TX 76542. You can also call us at (254) 699–7003. Most of the potential tenants prefer to look at the online pictures of a property before deciding to visit it. Therefore, it becomes important to understand the impact that photographs can have on probable renters. 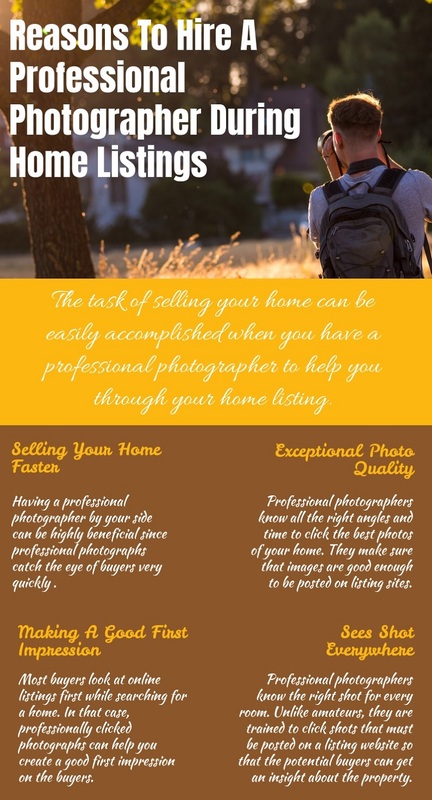 You need not hire a professional photographer but putting up high-quality pictures in the online listings is a must. Use The Right Camera: High-quality photographs can only be taken from a good camera, so invest in one. The pictures must be clear and should be able to highlight your home’s best features. Buy a camera that has at least 5 megapixel resolution, so that your photographs come out well. Adding a tripod stand to place your camera can also assist in clicking good pictures of your rental property. Tidy Up The House: Cleaning the clutter in your home before taking pictures is a must as it will add a professional touch to your photographs. Any kind of mess can distract the potential buyers from observing the actual features of the property. Try to put away all the extra items such as shoe racks, stacks of mails, tissue boxes etc. Also, make the bed, open the curtains, hide all the wires for a neat and clean look. Click Pictures From Multiple Angles: Shoot all the rooms from different angles so that the potential renter can have a good idea about a specific space in your home. Take multiple shots from various positions and heights to highlight prominent features of your rental property. Don’t take too many pictures straight ahead as this can make your home appear smaller than it actually is. Click Pictures In Optimum Conditions: Always highlight your rental property at its best so as to impress potential tenants. Pay attention to the light levels in your pictures as this can make or mar the photographs. For instance, avoid clicking pictures on a cloudy or rainy day as it will not display your property in the best state. Even the indoor pictures should be taken when the skies are clear and there is sufficient sunlight. Take The Help Of Grids: A camera’s gridlines can be of great help while clicking pictures of the rental property. In order to get attractive photographs of your home, turn on the camera’s gridlines and try to improve the balance and perspective of every picture. This will assist you in achieving well-balanced pictures that highlight the best features. Edit The Flaws: Even after taking everything into consideration, minor flaws may remain in your photographs. To rectify this, you can simply edit the pictures and crop out unnecessary area. Edit your photos to make them look appealing but stay truthful. Prepare you home for rent with Lone Star Realty & Property Management, Inc. To know more about the services, visit 1020 W Jasper Drive, Killeen, TX 76542 or call at (254) 699 - 7003. Being a landlord can be a personally and financially rewarding investment. However, there are a lot of things to prepare for before you take up this new job. A well-planned strategy and complete dedication is the key to a successful renting business. In the absence of any prior experience, there are higher chances of making certain mistakes that can cost you in the long run. It is better to hire a property management company to ensure a better handling of the different aspects related to home renting. Before you even plan to rent your home, you must understand and be willing to bear the responsibilities that come along. Right from advertizing your property to the potential tenants to ensuring that they stay comfortably throughout the lease duration, you need to take care of multiple aspects. You should also stay updated with the landlord-tenant laws and Fair Housing Act that prohibits you from reject any tenant on the basis of religion, race, color, nationality, disability or gender. All the laws should be followed to avoid any legal complications later on. Another important step is to buy a home insurance policy that covers your rental property. It will help you to protect yourself against any financial liabilities in case the home gets damaged due to fire, water pipe leak, vandalism, hailstorm etc. The cost of insurance may depend upon the property’s location, type and coverage included. You can also require your tenants to buy renters insurance before moving in. Setting the right price for your rental home will help to increase its demand in the market. Potential tenants may browse through the online MLS listings and compare a number of available properties to shortlist the suitable ones. If you ask for a too high or low rent, it may be perceived as a red flag and draw away the tenants. To avoid this, you should conduct an in-depth analysis of the market trends and rent of similar properties. This will help you to determine the right price for your home. Prepare a list of all the amenities that you will be providing to the tenants. These may include furniture, electrical appliances, HVAC system etc. Also decide if the monthly rent includes the maintenance and utility charges or they have to be borne by the tenants. Amenities such as Wi-Fi, cable, security alarms, well-maintained lawn etc. can help to increase the rentability of your property. Improve the visual appearance of your rental home before inviting the potential tenants for a visit. Thoroughly clean the driveways, mow the lawn, replace rusty door knobs and steam clean the carpets. Inspect the home to see if anything needs to be repaired, such as a leaky faucets or faulty electrical fittings. Remove unnecessary furniture and include only those appliances that you intend to provide in the rental home. Renting your home to the right people is important to ensure a consistent income and keep your property well-maintained. Therefore, you should conduct proper tenant screening to evaluate of the applicant is suitable for your search criterion. Check his income, employment history, criminal background, past rental record etc. You can also get in touch with the tenant’s previous landlord to know about his general conduct and punctuality in rent payments. The lease agreement should clearly mention all the terms and conditions to be followed by the tenant. Important details such as rent amount, security deposit, tenancy duration, pet policy, occupancy limits, maintenance liabilities etc. should be included in the contract. Also mention the due date for rent and the circumstances in which eviction procedures can be initiated. Make sure that the lease agreement is understood and duly signed by both the parties. 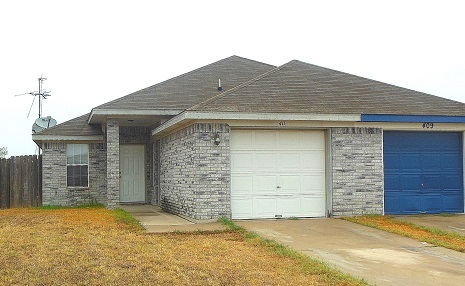 We, at Lone Star Realty & Property Management, Inc., can help to rent your home in Killeen, TX. For more information, you can call us at (254) 699 – 7003 or visit our office at 1020 W Jasper Drive, Killeen, TX 76542. Adopting a pet comes with a major set of responsibilities, particularly if you are living in a rental home. Since pets can be a source of unwanted mess and trouble, you need to ensure they do not cause any harm to the property or your neighbors. Below are some do’s and don’ts that should be followed by tenants living in a pet-friendly rental home in Killeen, TX. Adopt the correct pet: If you are still looking to adopt a pet, it is best to pay some attention to this aspect before making the final decision. For instance, do not get a dog that is large in size or aggressive in nature. Your landlord may also not approve of such a pet in his home. Therefore, buy a pet according to the guidelines laid down by your landlord. Get a renter’s insurance: Getting a renter’s insurance policy helps in protecting you from any sort of damage or injuries caused by your pet. Include pet liability coverage in your insurance policy to validate that you are willingly taking up the responsibility for your pet’s behavior. This, way, your landlord will know that you are a responsible tenant who will keep the rental home properly maintained. Make your home safe for the pet: Make sure the rental home is completely safe and comfortable for your pet. For example, there should be no visible wires or toxic plants that can harm the pet. The material of the floor is another consideration to be kept in mind as certain types of flooring may not be comfortable for the pet. Hide anything from your landlord: Never keep a pet in your rental home if your lease agreement does not allow you to do so. Also, do not bring in prohibited pets inside the home as this is a breach of your rental contract. If you hide anything from your landlord, he has the authority to keep your security deposit or even evict you. Choose a rental home not perfect for your pet: When looking for a pet-friendly rental home in Killeen, you need to find the one that suits your pet the best. Use various search tools and visit different neighborhoods to decide on your preferences. Fail to clean up after your pet: Do not let your dog be a nuisance for your landlord or neighbors in any way. Make sure you clean up every time after your pet to maintain sanitation in as well as around the home. Contact Lone Star Realty & Property Management, Inc. if you are looking for a pet friendly rental home in Killeen, TX. For details about the rental services provided, you can call at (254) 699 – 7003 or visit our office at 1020 W Jasper Drive, Killeen, TX 76542. Check the rent: Look for the homes available for rent in your area and compare the rent quoted by their owners. It is important to be realistic while setting the rent to make sure that you find tenants quickly. Quoting a price too high or low than the current market price may drive away the potential tenants. Advertize correctly: When you list your property, make sure you highlight all the positive features that may interest the potential tenants. A good location, open floor plan, proximity to workplace, schools and shopping malls, designated parking space etc. are some amenities you must specify in the rental listing. Keep the property well-maintained: The most obvious way to make your home look worthy of the asking rent is to keep it in the best possible condition. Invest in its regular upkeep and functioning so your property looks attractive inside out. Be a good landlord: One way to retain good tenants is to be proactive in attending to their repair and maintenance needs in the home. You can even conduct regular home inspections to identify any problems that need to be repaired. Rent a furnished house: If your rental home is equipped with basic amenities like a refrigerator, beds, furniture and kitchen utilities, you can attract tenants as they do not have to shift all these items. These items can also allow you to charge a little bit extra as the rent component. There are well experienced real estate agents in Killeen that can assist you in devising strategies to increase your rental income. 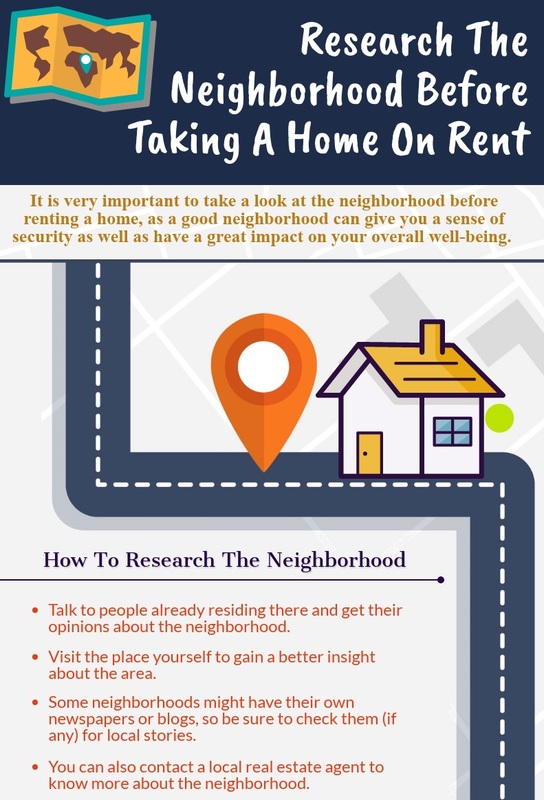 They are well versed with the current property trends and also suggest you ways to maintain your rental home to attract good tenants. Contact Lone Star Realty & Property Management, Inc. if you are looking to rent your home in Killeen, TX. For more information about the services offered, you can call at (254) 699 – 7003 or visit 1020 W Jasper Drive, Killeen, TX 76542. As a landlord, it is imperative to keep your property in an optimal condition so that it attracts prospective tenants and continues to fetch a good rent. A well-kept property is less likely to remain vacant for a long period of time. Just before you list your home for rent in Killeen, TX, ensure that you have done your bit to make it look inviting. Give it a fresh paint: Giving the walls a fresh burst of colors can revive the entire look of your home. Choose light colors that add a feeling of space to your interiors. On tiled walls, gentle scrubbing can be done to remove all stains, particularly in the kitchen and bathrooms. Focus on outdoors: To make the garden look clean, make sure you trim overgrown bushes and remove all weeds. Level the fencing around the area. Porch and driveway must be cleaned thoroughly as these areas build the first impression on the prospective tenants. Remove heavy furniture, if any: If you are renting a furnished home, the best way to make it look open and big is to remove or re-arrange heavy furniture items that may be blocking windows and walking passages. Keep them away in the garage or attic so that the tenants can move around the house comfortably. Clean the carpets: Deep clean your carpets to get rid of any dust, dirt or foul odors. It is a low cost chore but goes a long way in increasing the value of your home. Check if there are chipped patches of tiled or wooden flooring and get them repaired before the tenant visits your property. Check all electronic appliances: Check all the appliances to make sure that they are in proper working order. Scrub them to give a neat and clean look. If any appliance is not working properly, replace or get it repaired before the tenant arrives. Fix leakages: Check all bathrooms and kitchen for leaking taps. Fix any drainage problems and ensure everything is in order. Also, check for any leaks in the basement and attic so that they can be fixed before posing a bigger problem. If you are planning to rent your home in Killeen, TX, contact Lone Star Realty & Property Management, Inc. Call at (254) 699 – 7003 or visit 1020 W Jasper Drive, Killeen, TX 76542 for details.